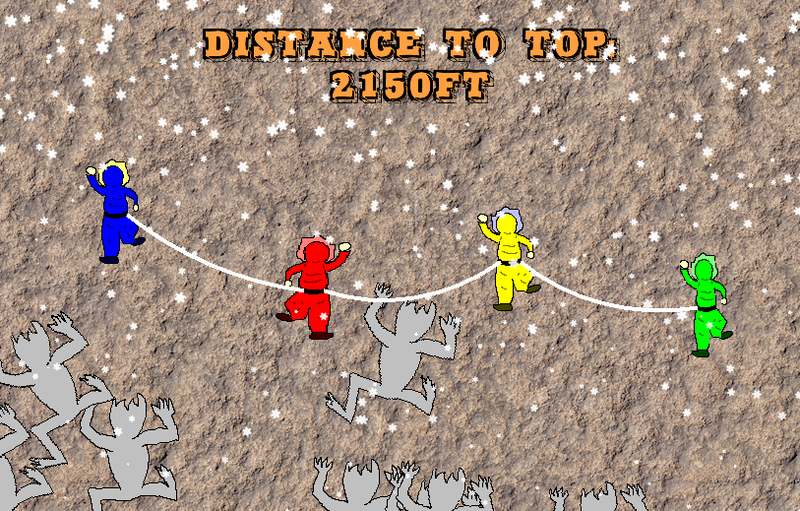 Chased By Yeti is a TOJam game, where four Mountain Climbers have to scale to the top of the mountain! You gotta keep your team tethered together, or else they'll fall to their death! 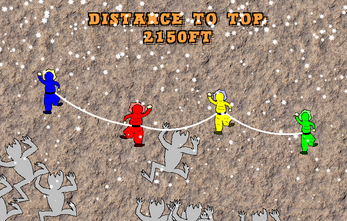 -- Oh, and avoid the Yeti! Playable alone or with up to 4 players sharing one keyboard!